Galway-based casting agency, West Coast Casting, has picked up an Irish Micro Business Awards in the ‘Entertainment’ category. The awards took place in the Limerick Strand Hotel on Saturday, April 13th. The Micro Business Awards are a national award that honour and recognises Ireland's small businesses. West Coast Casting owner, Mairead Campbell from Spiddal in Galway, set up the company in June and has watched it go from strength to strength ever since. "I am absolutely thrilled to have won this award. It is such a boost to a small business to be recognised like this, and I am so delighted to be able to promote my business on this level. I want to thanks everyone for all the support and a special thanks to all the artists we have cast over the years, it wouldn't be possible without every one of them!" 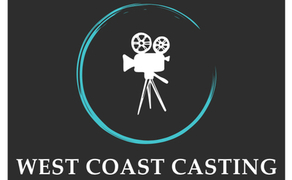 West Coast Casting specialises in casting, co-ordinate and assist film productions in the west of Ireland. They cast actors, extras, and people with special skills and talents. Their recent credits include Ed Sheeran's ‘Galway Girl’ music video, which has almost 420 million hits on youtube, as well as, feature films such as ‘Calm with Horses’ and ‘Never Grow Old’. West Coast Casting is located in the Gaeltacht of Spiddal and work through both the English and Irish language. Click here for more information about West Coast Casting.